The agriculture sector has undergone big changes in recent years. Technology infiltrated the industry and fundamentally shifted the way business is done. Market drivers and opportunities have evolved, giving many producers different risks to consider but also new ways to expand their reach. Despite so much change, many of the central tenets to good banking—knowing your clients; pairing them with the products that best fit their needs—remain largely the same. With so much in transition, how can bankers continue to grow their role as trusted advisers for ag producers? As in many other industries, technological advancements are having a profound impact on ag producers. From rainfall sensors to self-driven, GPS-guided tractors, technology is helping ag producers maximize their revenue. “It’s being as efficient as you can with drip irrigation, for example,” says Jason R. Smith, market president at F&M Bank in West Point, Neb. Software is streamlining many major tasks, such as fertilizer use and herd management. E-commerce and digital invoicing platforms are also giving ag producers a way to sell their products and get paid faster. “With margins being so tight, those types of things can make everything work so much better and it makes bankers feel more comfortable,” Smith says. Helping ag producers develop sustainable operations has long been a topic of discussion among bankers. Marketing should be purposeful and strategic, and cash flows need to be realistic. “Every farmer’s balance sheet is different,” says Jeff Plagge, president and CEO of Northwest Financial Corp. in Arnolds Park, Iowa. “Some have more capacity to absorb risk and others don’t.” More conversations about marketing and price points typically occur with producers whose businesses are modest. “It’s a part of our lending equation and the line-of-credit offering, that they take a more direct approach to protecting their downside risk,” Plagge says. As the industry continues to evolve, bankers familiar with the market pressures affecting their ag clients can help avoid unnecessary risks and position producers to maximize their revenue. The right application of technology means lenders can be responsive without interrupting producers unnecessarily. “We’re trying to solve for speed,” Kerrigan says. “It’s a race to get the transactions closed.” In the age of the Internet, ag clients have multiple banks available at their fingertips. They need someone to address their questions and concerns, and they don’t want to wait. In response, partners are launching products—such as AgExpress from Farmer Mac—that offer the ability to support one-day credit turnaround and other time-sensitive functionality. With producers busier than ever, Nate Franzen, president of the agribusiness division at First Dakota National Bank in Yankton, S.D., sees new ways bankers can remain a key ally and trusted advisor, while still offering convenience to ag clients. “One of the things we’re trying to rapidly adapt to using is electronic signatures and the ability to close loans electronically,” Franzen says. His team also uses online video conferencing and web chat platforms as a substitute for some on-the-farm time. This approach enables lenders to ensure clients’ needs are met quickly, while maintaining a high-touch, long-term relationship. 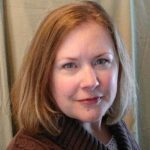 A freelance writer in the Pacific Northwest, Julie Knudson is a frequent contributor to the ABA Banking Journal.